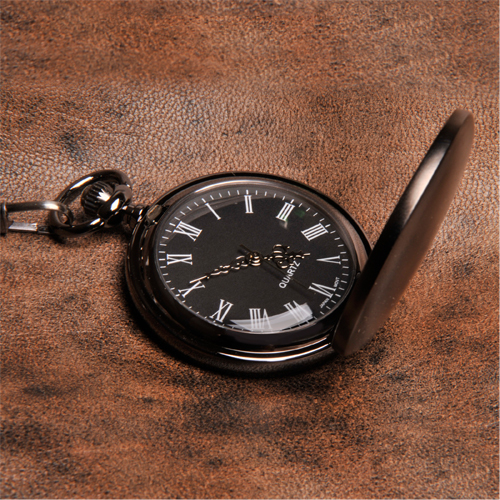 * Classic yet contemporary, our personalized classic-style Gunmetal Pocket Watch has a handsome black face with Roman numerals and includes a gunmetal gray finish. * Sturdy chain and clip included for safe keeping. * Plenty of space for your personalization. * Wood gift box included. 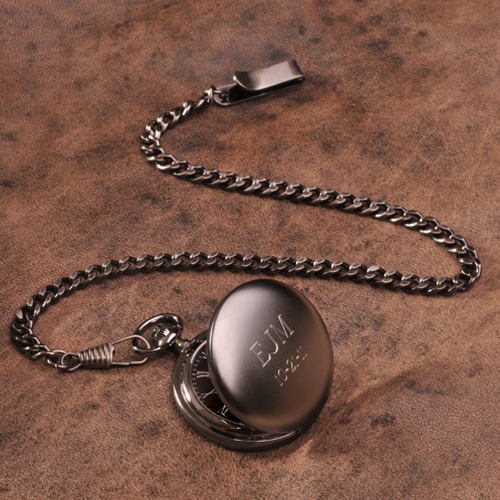 * Measures 1 1/2" in diameter with a 14" chain.